All makeready and die charges are included with order price. All dies are recycled. 1 or 2 flat inks available. All standard and PMS inks are available. 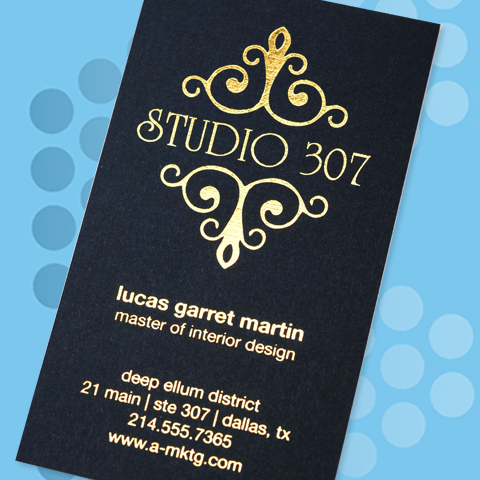 For more foil options check out our Foil Exclusive Business Cards!